197 in stock Need More ? 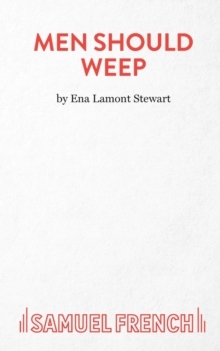 Written for Glasgow Unity in 1947, this extraordinarily moving play of women surviving in the east end of Glasgow of the 1930s was revived by 7:84 Company to tremendous critical acclaim. It finds in the lives of Maggie, her family and her neighbours not only all the tragedy that appalling housing, massive unemployment and grinding poverty can produce, but alo a rich vein of comedy - the sense of the ridiculous, the need for a good laugh.